A View from the Arts is running a series on digital projects in the Faculty of Arts, in advance of the Digital Research Week, which will run from the 23rd to the 27th of April, 2018. This is a guest post by Jon Henderson. At present, the submerged cultural heritage of Egypt is intangible – and inaccessible – to non-diving public audiences. The British Council Newton Fund project ‘Presence in the Past’, a collaboration between Ain Shams University, Alexandria University, and the University of Nottingham, is making this important heritage more accessible to audiences through engaging digital recreations. In July 2017 the SS Thistlegorm wreck was fully surveyed in 3D photorealistic detail as part of this project covering an area of 7.05 acres. 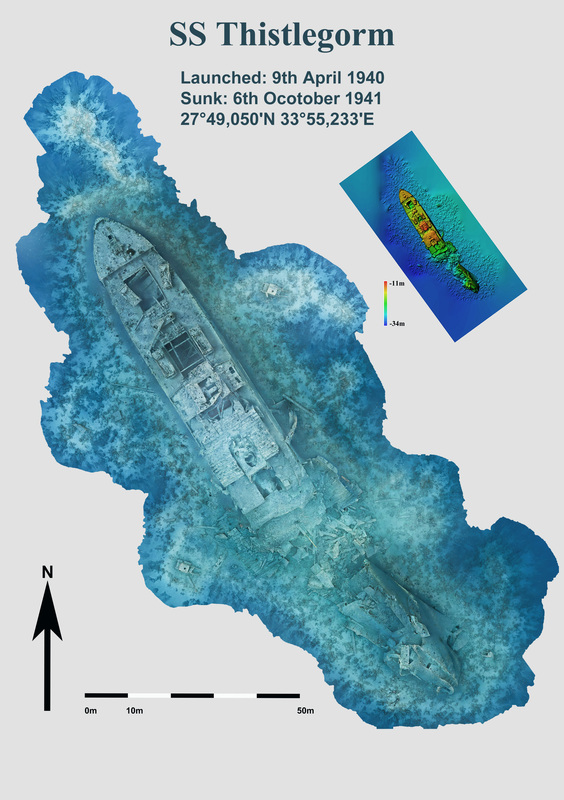 In order to create a model of the SS Thistlegorm, tens of thousands of photographs of the wreck were taken and “stitched together” using cloud computing technologies. It took nearly 14 hours of dive time to gather all the data, from a challenging site 32m deep and subject to strong currents and changing visibility.